A trip to Branson during the holiday season can be more fun if you take the kids and let them enjoy many fun-filled activities in Silver Dollar City. The 1880’s theme park is featuring “Old Time Christmas” festival that boasts five million lights, two Broadway-style musical productions, one thousand decorated trees, thrilling amusements rides, unique shopping, and endless holiday treats. ABC’s Good Morning American show declared the festival as one of the top five holiday events in the country in 2007 and is called as one of the world’s top holiday destinations by CNN.com. During the holiday season, there’s so much to see, do, and eat at the Silver Dollar City. During this season, you can make the most of your time in the park and have the best Christmas yet in this great amusement park in Branson. At the end of October, Silver Dollar City starts to transform the park into a Christmas wonderland. By Nov. 7, the park officially opens for the Christmas season and continues through Dec. 30. The daily schedule of activities varies, but is generally open from 1 p.m. to 9 p.m. on Thursday through Sunday. Single-day tickets to the park that can be obtained in either online or at the gate are $60 for adults and $49 for children. Two-day tickets are also available for a few more dollars at $64 for adults and $54 for children. There is also additional bonus for those who enter after 7 p.m., where you get a chance to return the next consecutive day with no additional charge. This can give guest a chance to see the lights on the first night and come back the next day for the rides, exciting shows, and for some delicious treats. A visit to Silver Dollar City during Thursday is probably the least busy day of the week, so don’t miss to stop by Price Cutter at some locations in Missouri (including Country Mart, Smitty’s, Ramey, Summer Fresh, and Bistro Market) to purchase tickets for just $40. In Branson, you will find two Country Mart’s near the park at 18128 State Hwy 13 in Branson West or 1447 MO-248 (Shepherd of the Hills Expressway) in Branson. You can purchase $40 tickets any day, but it can only be used on Thursday. If you visit Silver Dollar City more than one time next year, it’s best to take advantage of the option to upgrade the ticket to a 2016 season pass (for unlimited passes) for just $50 extra – that is less than a single day ticket. Season pass holders will also receive 10% discount inside the park on food purchases and a $5 discount on single-day tickets. 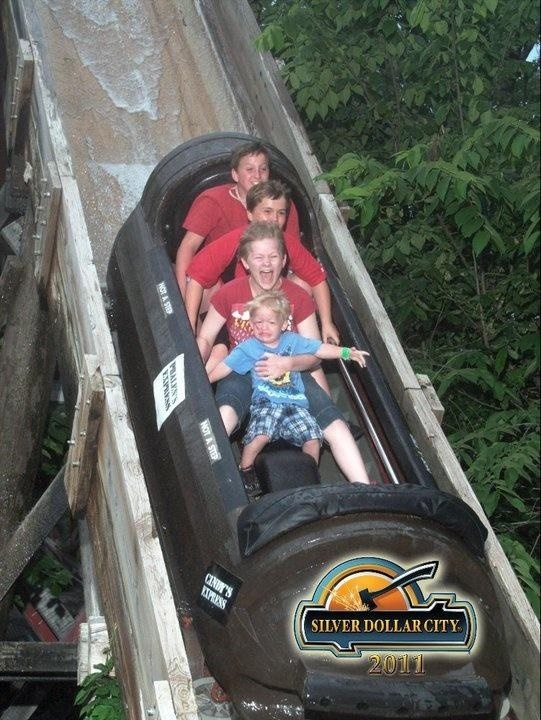 If you want to take your kids to a great vacation destination in the Midwest this holiday season, bring them to the Silver Dollar City where they will be able to enjoy thrilling rides and a chance to explore many exciting outdoor activities.